Aussie No.6 seeds Nick Kyrgios and Jordan Thompson will contest the US Open boys' doubles final on Day 13 at Flushing Meadows. It was a bittersweet day at the US Open for Aussie Nick Kyrgios, who on Friday lost an epic battle in the boys’ singles quarterfinals before gaining some consolation with a win in the doubles semifinals. 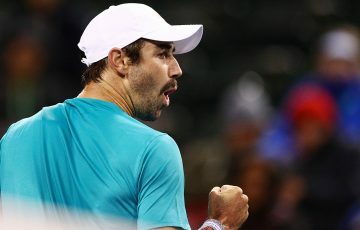 That win, along with compatriot Jordan Thompson, sends the pair into the boys’ doubles final at Flushing Meadows, which they will contest on Saturday against Great Britain’s Kyle Edmund and Frederico Ferreira Silva of Portugal. After winning the junior boys’ doubles crowns at Roland Garros and Wimbledon with fellow Aussie Andrew Harris, Kyrgios is into his third straight Grand Slam decider in the tandem event. 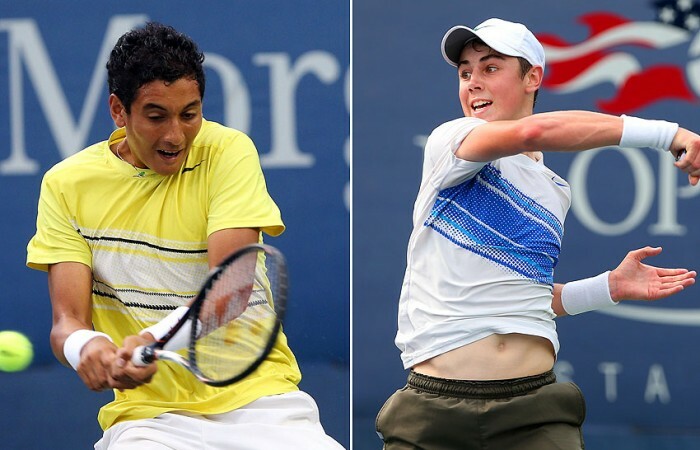 You can follow Kyrgios and Thompson’s progress by following Tennis Australia’s Twitter handle, @TennisAustralia. “It’s definitely pretty exciting, I’m looking forward to it a lot trying to go three in a row,” Krygios said. “(Singles) took a big hit on me. I sort of cleared my head a bit (before the match but) was a bit flat in the doubles and Jordan did a very good job of trying to get me up for it. 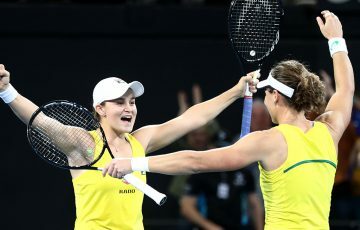 It worked – despite breaking serve in the first set only to lose the advantage later on, the Aussie duo regrouped in the ensuing tiebreak to race through it seven points to three against the German combination of Maximilian Marterer and Daniel Masur, the tournament’s No.5 seeds. They broke serve again in the second set and this time clung on to their lead, wrapping up a 7-6(3) 6-3 win in one hour and nine minutes on Court 17. Earlier in the day in brutally hot weather in New York, Kyrgios fought hard in his boys’ singles quarterfinal before eventually going down to No.2 seed Filip Peliwo of Canada 2-6 6-3 6-4. 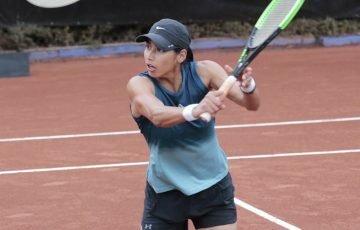 After the pair spilt sets on Court 11, the third was a torrid battle, featuring many breaks of serve and an epic eighth game with several deuces and in which both players had multiple chances. 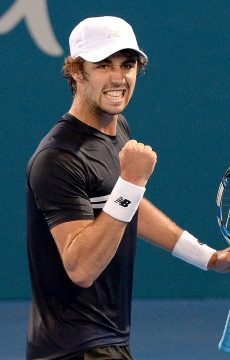 Peliwo, the reigning junior Wimbledon champion and finalist at the Australian and French Open, went on to hold to stretch his lead to 5-3, and although Kyrgios forced him to serve for the match and then went ahead 15-40 in the 10th game, the Canadian was able to save those break points and scrape through. “When it sunk in that I lost today, I was pretty devastated. Still am. I had a lot of opportunities to take that match,” he reflected. 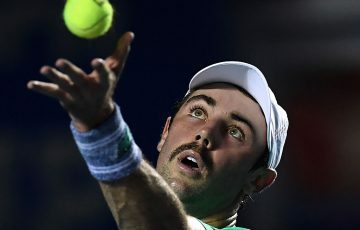 The 17-year-old from Canberra said the match – in which he suffered from cramping – would strengthen his resolve to return to Australia and continue to work hard on his fitness. In the senior rankings, women’s semifinal action concluded at Flushing Meadows on Friday with Victoria Azarenka and Serena Williams advancing to a blockbuster women’s final, scheduled for Saturday night. Before that on Day 13 will be the men’s semifinals, featuring a battle between Tomas Berdych and Andy Murray followed by the match-up between defending champion Novak Djokovic and fourth seed David Ferrer. You can catch all of the action live from Flushing Meadows by tuning into Fox Sports 3HD’s coverage, beginning at 1am AEST on Sunday. For more information, please see our TV Guide.